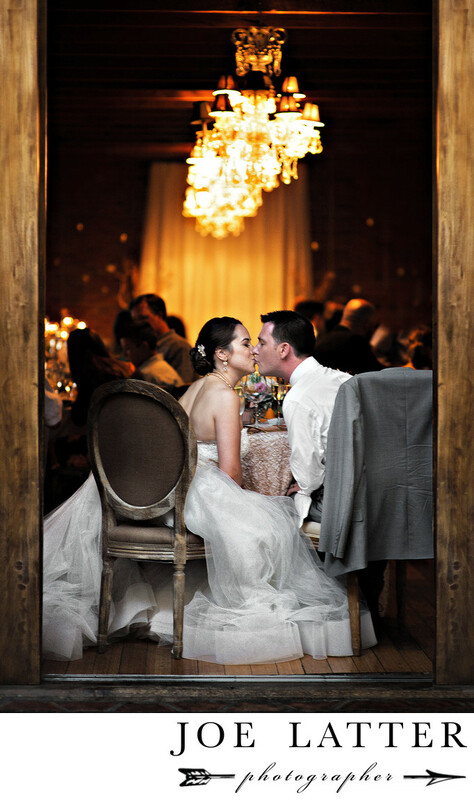 If you are looking for a rustic and intimate wedding venue with a farmhouse feel in the Los Angeles area then look no further than the Carondelet House. I loved the feel of the venue and it had so many unique locations to photograph my bride and groom. This was one of my favorites as I captured the couple sharing an intimate kiss as their guests enjoyed the reception.Keywords: Carondelet House (3), City (3), Los Angeles (6).